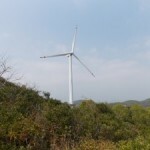 I got to the Shau Jei Wan MTR station, and took a bus to Shek-O. 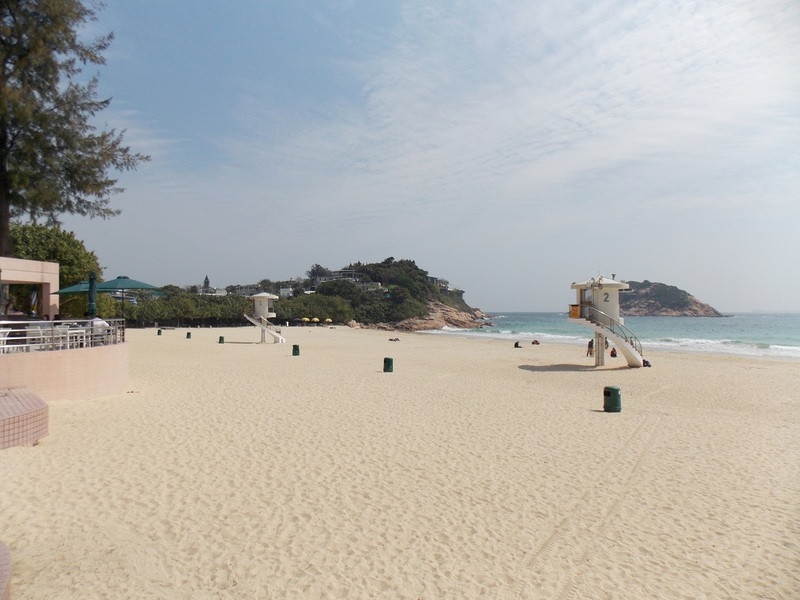 Shek-O beach (5/5; a must visit). 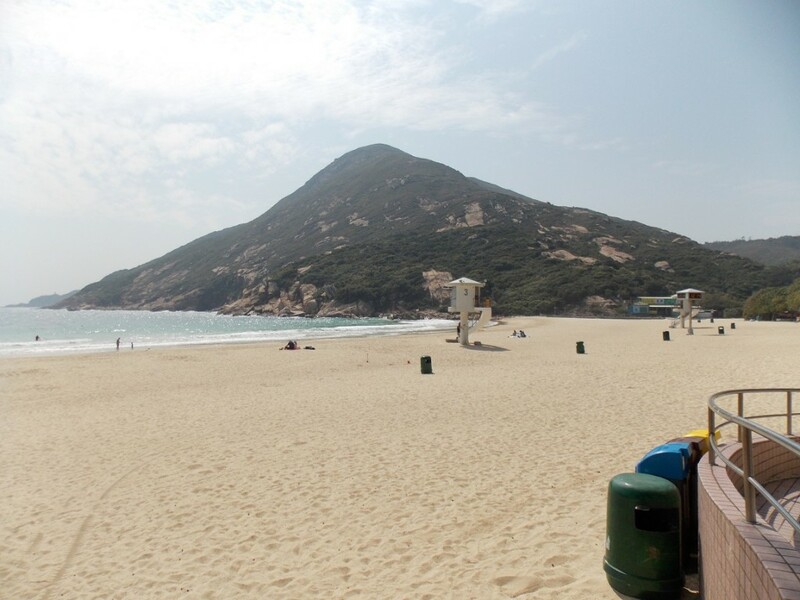 Shek-O is the best beach I have been on during my visit to Hong Kong. 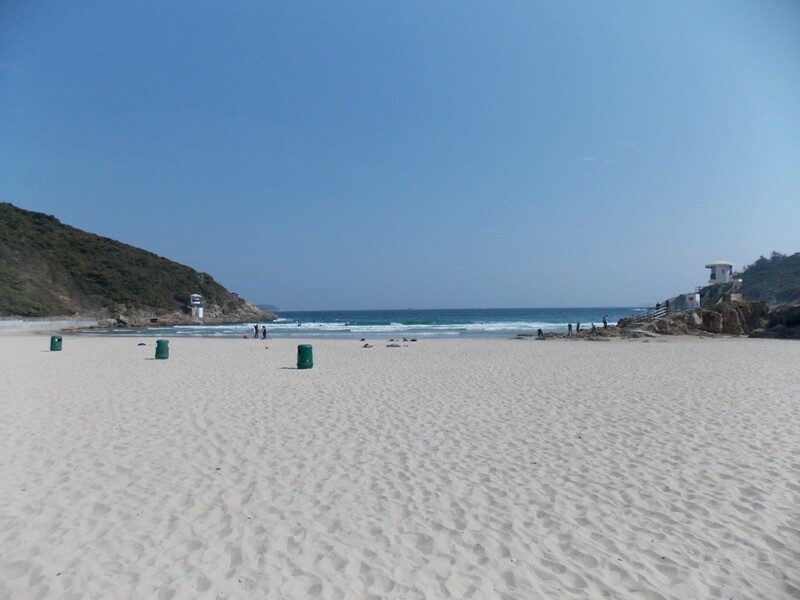 Despite its relatively small size (about 100 meters long), it has everything a descent beach needs: sandy beach, where the sand is amazingly clean and soft; rec area for games; changing areas and showers; and a terrace with some cafes and bars. 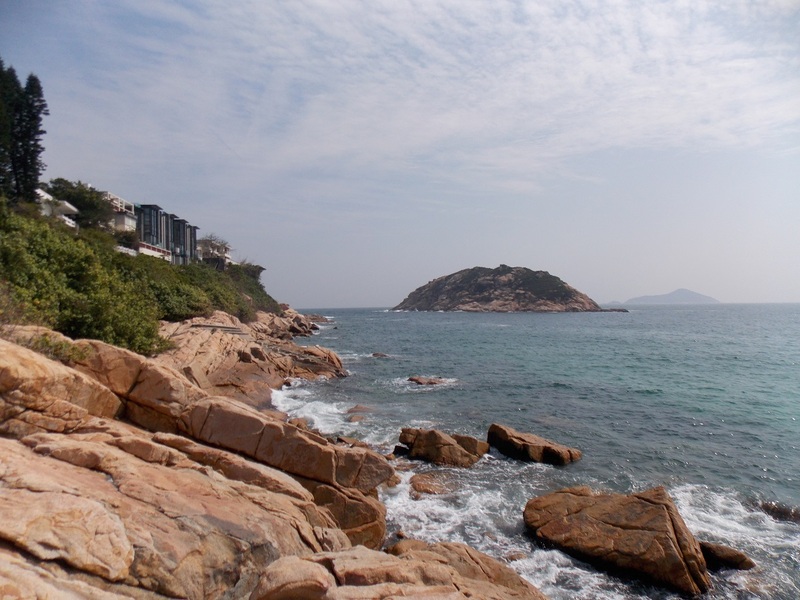 There also is a large secluded rock island with several BBQ spots and some vieweing terraces. 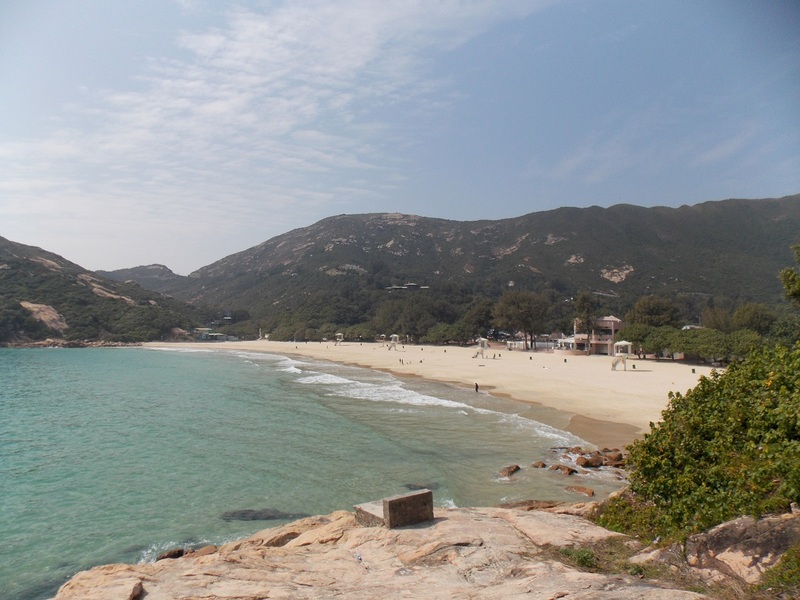 To get to Shek-O, you need to take bus number 9 from _ MTR station, or a mini bus from the same station. The bus rie takes approximately 40 minutes, while the mini bus ride is a tad bit shorter. 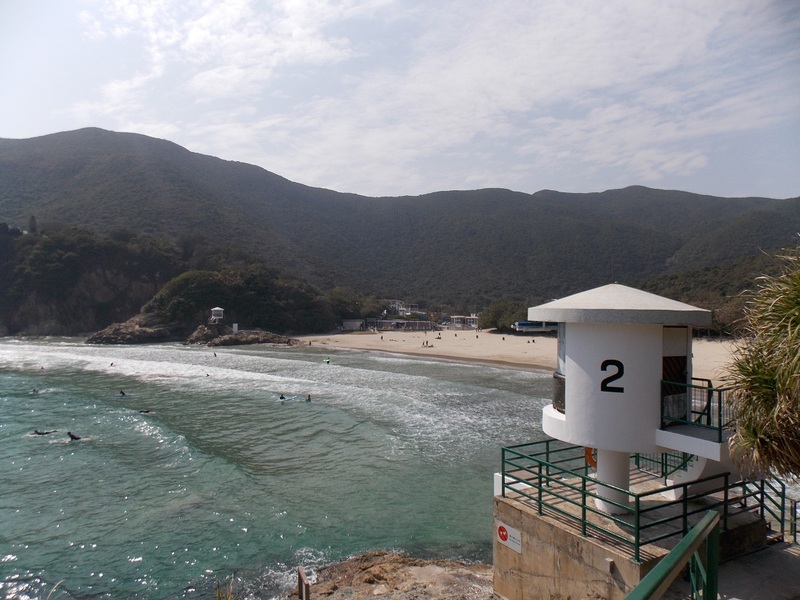 Big Wave Beach (3/5: check it out, if you have extra time). Getting to the Big Wave Beach is a little trickier. Every other bus number 9 will go on an etended route, and will get you there after passing through Shek-O; or you can just walk there (that’s what I did): although, beware, the walkway is almost non-existent, and most of the time I had to walk in the opposite direction of moving vehicles. Big Wave is not really a swiming beach – most people are there for surfing; and surfing boards are available for rent. Having been on a tight schedule time-wise, I skipped surfing, and went to see the rock carvings; which were randomly discovered relatively recently (in 1980-s) by a patrolling police officer. The carvings are separated from the visitors by the metal fence; and in light of day are pretty difficult to see. 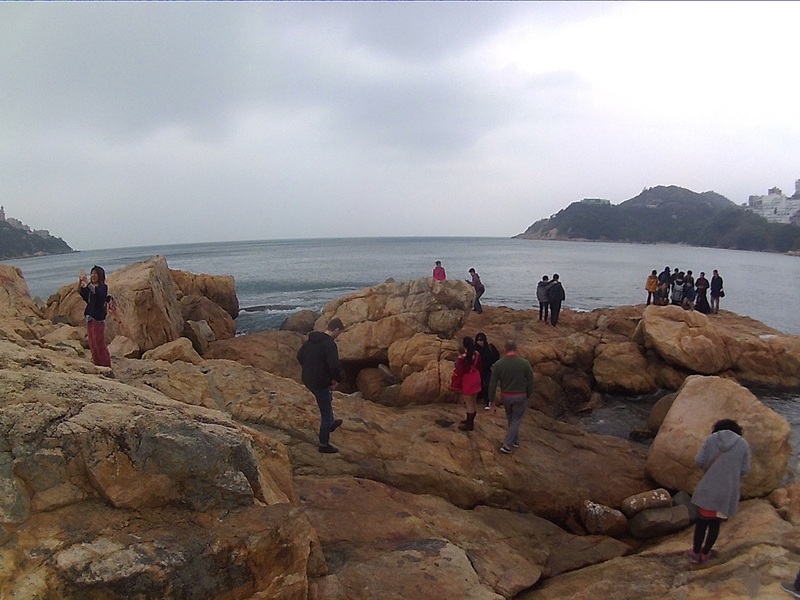 If seeing them is not a priority for you, I recommend sparing the visit to the Big Wave altogether towards spending more time at Shek-O or Stanley. Stanley (5/5: a must visit). 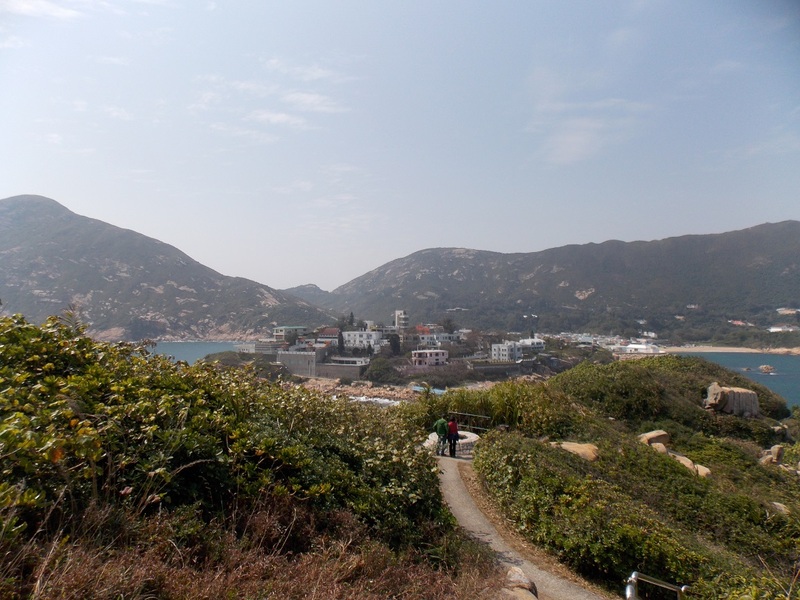 Stanley originated to be a small fishing village, which became a pretty important point after the British invasion. 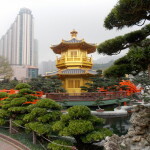 It was named after Lord Stanley, who was the British Colonial Secretary at the time of the British annexation of Hong Kong. 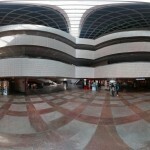 Nowadays, the cost of accomodation is Stanley costs about CAD$2,500,000 for a modest 700 sq. ft. apartment, so not a lot of people can afford to live there. There are 3 smaller beaches and 1 larger one, where you can relax in the sun, swim, or rent a boat. 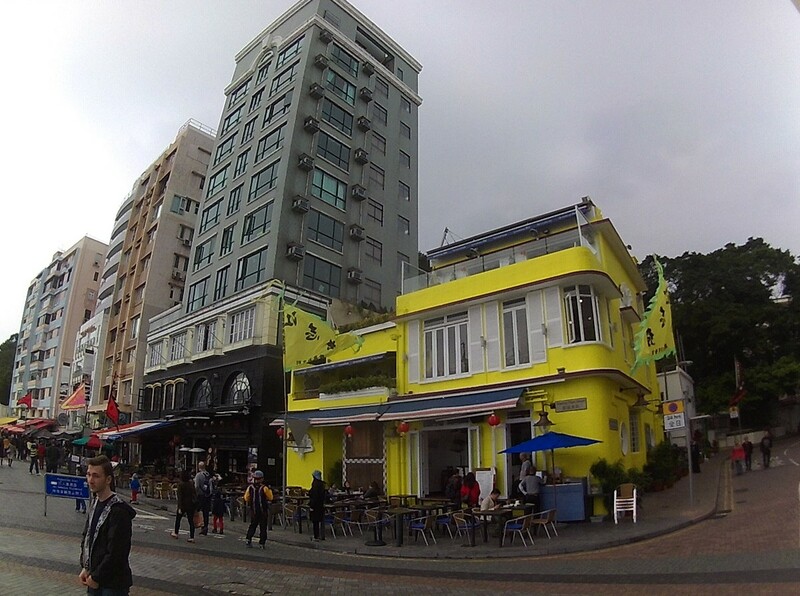 There also is a small public market (bargaining is acceptable), and a lot of bars and restaurants for all tastes. I was there twice, once onmy own, and later with my parents as a part of our Big Bus tour. If you like pizza, I highly recommend stopping at Paisano’s, where they serve genuine New-York style pizza with humongous slices costing HKD$30-50 (~CAD$5-7). 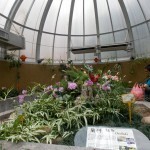 If you are not in a hurry, get to see the Ma Hang and Chung Hom Kok Parks, which are within 5 minutes away from the min area of the village. 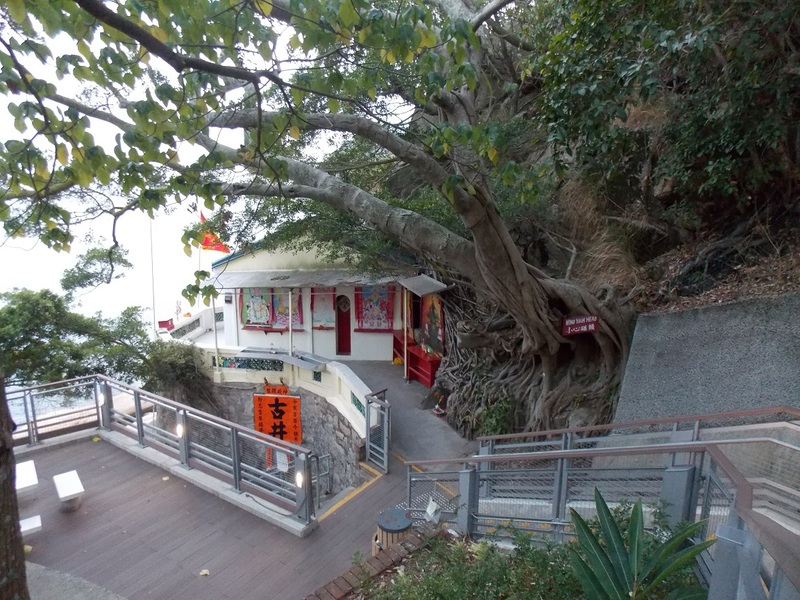 Within the park, there is an old Tin Hau Temple (Tin Hau appeared to be The Sea Goddess). 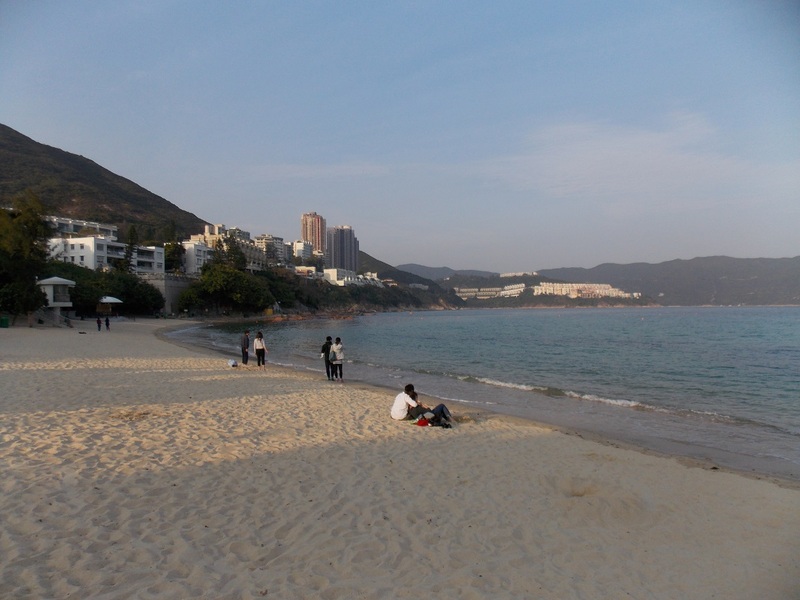 By the time I finished seeing around Stanley, it was already dark, so I had to skip the visit to Repulse Bay,and take the bus home.